Bulawayo (Sizinda) based group Excellence Music has managed to abide by its Motto "D.O.P.E" (Dreams Of Potraying Excellence) for the first half of 2018. They have been consistent since the release of Dweezy Bwoi Wonder's "Olivia" in November 2017. 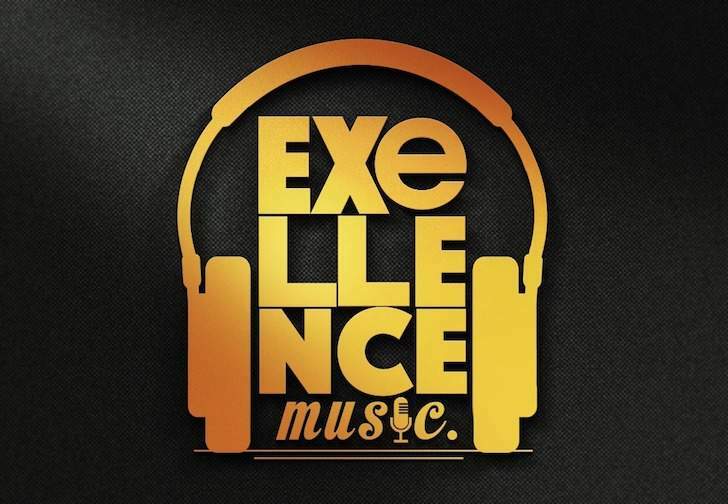 If you have never heard of them you are probably wondering who these guys are.Well,Excellence Music is a group made up of KoKo (Artist-Producer), Dj $aliM (Producer & Vocalist) ,Lorbee J (Vocalist ), Dweezy Bwoi Wonder (Artist-Dj) , Lyrico & Frixx (Rappers) . They first gained the public attention after the release of Olivia ft "Ulimenemene" hitmaker Mzoe 7, The song went viral on streets and managed to have a good rotational play on some local radio stations nation wide and to a big archivement the song managed to catch one of the successful artist from South Africa former Cash Time member "Kid X" to witness as a good work from Excellence Music taking it to be the headline of Sunday Newspaper talking about it . Excellence Music has performed in so many events around and outside the city, moreso managed to have some international collaborations with artist from Ghana that B-Metro newspaper wrote about as an achievement to the label. Still on the label we have done some jingles for Khulumani Fm drive power and managed to congratulate Vice President Mohadi with a song that was played on the celebration day in Gwanda. They went on to release 3 singles on the 23rd of February ,Paving way for KoKo's "Dark Thoughts" Album which was set for March.These songs included "No Mercy" by Dweezy featuring label-mates Dj $aliM & Frixx which made it into the Top 10 at Khulumani Fm & Breeze Fm Top 20 Charts. The other 2 singles were "Sarah Baartman" by Lorbee J & "Amaqiniso" which also got airplay on local radio stations.KoKo then released his "Dark Thoughts" Album on the 18th of March.This album featured everyone at Excellence and a few other local artists. The Album is still on B-Metro and rotation on National radio stations with "Sangen'emalini" sitting on #5 on Breeze Fm in Victoria Falls. Fast forward ,Dweezy Bwoi Wonder's "African Girl" spent several weeks sitting on the number one spot on Khulumani Fm 's Top 20 charts.In May ,they released Dj $alim's single "Love Lost" from his upcoming EP set for July called "The Love EP". On the 25th of May ,Excellence Music released 2 songs to pave way for Dweezy Bwoi's EP. These were "Ninja" by Frixx and Ng'khethe Wena ft Msiz'Kay,Lorbee J & Dj Salim. These songs were successfully launched at Club 09 & Khulumani FM on the same day . These guys have been giving us good music since the beginning of the year.They have one Album and EP done & they are giving us 4 more EPs before the end of October with Dj Salim,Lorbee J & Frixx giving us their EPs in July, August, September respectively, Currently they've launched DweezyBwoiWonder's Best On Best EP last week on the 15th of June at Club o9 and its set to be out online for streaming and dowloading. You can get their music under thirty seven (37) online stores including iTunes, Amazon, Deezer, Spotify and so many.